The Official UK PlayStation Magazine reportedly sold an astonishing 450,000 copies during the normally sedate February period of 1999. 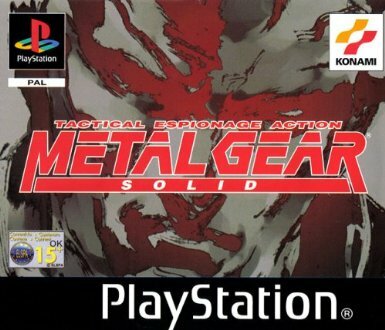 The much-vaunted arrival of Konami’s stealth opus Metal Gear Solid was the reason behind this, dominating the magazine’s cover and its demo disc, with a memorable, extensive playable sequence creating a wave of interest amongst gamers. In one fell swoop, it would come to redefine what we could expect from a PlayStation stealth adventure, and more broadly, the possibilities for a cinematic gaming experience. A cavalcade of memorable characters and an uncommonly heavyweight narrative provided the hook, whilst incredibly rewarding gameplay and a near-unending stream of innovations helped cement MGS’s place in gaming folklore. Set in and around a heavily guarded Alaskan military base, the player assumes control of Solid Snake, a veteran mercenary, who’s landed with the unenviable task of breaching the base’s defences and locating two hostages held captive by terrorists. 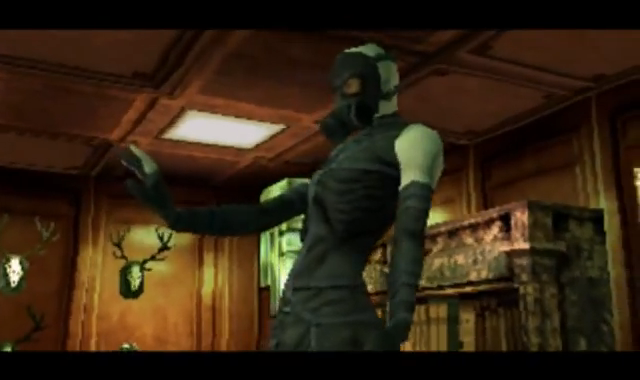 Things are complicated however by FOX-HOUND, a group of six uniquely sinister antagonists lead by Liquid Snake (a man so malevolent, they gave him an English accent), as they seek to arm a nuclear warhead via the mech prototype Metal Gear REX. And it’s your job to stop them. MGS’s story is a meticulously detailed, fascinating creation, carrying Hideo Kojima’s now familiar anti-war message. 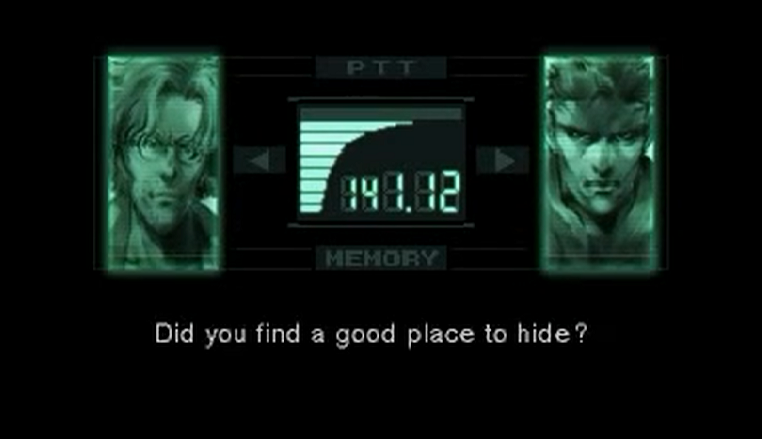 There are too many great personalities to wax lyrical about, but Snake’s, in particular, is brilliant. He’s a jarringly cynical, single-minded machine with an unashamed disinterest in the wants and needs of individuals and an unapologetic love of battle. He frequently derides those who refer to him as ‘legendary’, his honesty and callousness creating a thought-provoking moral blur between his actions and those of his foes. The game delivered a level of cinematic gravitas hitherto unheard of on PSone. Whereas cut-scenes were often used as little more than filler to give context to a change of environment in many its contemporaries, MGS delivered altogether more filmic sequences with an eye for atmosphere and detail. Character motions and gestures (minus lip synching, sadly) were more considered, whilst a stunningly memorable cast benefited from proper voicing, a million miles away from the phone-in theatrics that were so prevalent at the time. Snake has a host of cool kit that makes playing MGS an absolute pleasure. He’s aided by radar, a basic means of identifying his position in relation to guards, and is further supplemented by the marvellous CODEC system, which allows you to contact a group of allies at any given time to ask their advice on a given situation. Some offer mission pointers, whilst others offer survival tips and information on weaponry and items. What’s so cool about these is there is so little repetition, as dialogues are so frequently updated. Thus rather than a distraction, they act as a team willing to hand out small but often vital tips, whilst small decisions acts as catalysts for their varying personalities; so equipping cigarettes might earn Snake empathy from one, it may draw an irritated response from another. But what makes Metal Gear Solid a delight to return to even fifteen years after the event is far more fundamental, and often unfairly muddied under discourse about its storytelling: it plays wonderfully. Kojima managed to breathe life into the stealth adventure, a genre that was occasionally absorbing, but all too often characterised by leaden pacing, frustration and a lack of excitement. Thankfully, MGS never resorts to any so formulaic as hiding in shadows for minutes on end or tackling ever-more-crowded guard routes. Its secret was in knowing where to be streamlined, and where to be clever. Navigating Snake is a pleasure; you don’t have to faff around feathering the analogue stick in the fear of being randomly spotted as you approach a guard with their back turned. Hazards and traps are numerous, and with ever-more sneaky, sophisticated surveillance for Snake to match wits with, there’s never a dull moment. Few titles are as rewarding as Metal Gear Solid; a game that offers precious few shortcuts but numerous ways to tip the odds in your favour, provided you’re diligent enough to sniff them out. Rarely has a game world felt so complete, so tight in its design and execution. It feels like you’re immersed in a truly intelligent environment, one that’s never undone by glitches, flaws, or unforeseen eventualities arising from peculiar A.I. decisions. It’s technically fantastic, constantly pushing the console but never succumbing to common blights such as fogging or slow-down. MGS’s 3D environments were not only attractive but rich with detail, regularly offering not only alternative routes to your next destination, but alternative solutions to problems. Thus you’re encouraged to – and rewarded for – lateral thinking. 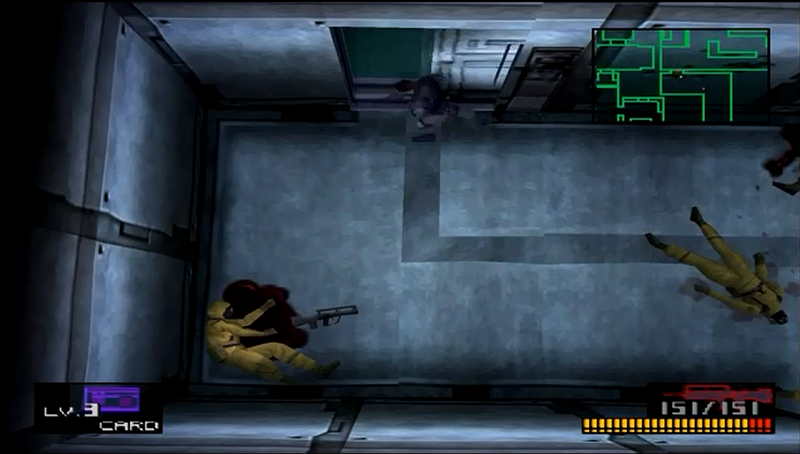 Snake’s incarceration acts as an ideal microcosm of this; he can simply wait until he gets busted out by an ally, but it’s more fun to play dead with ketchup or hide under the bed, spooking the guard into open the cell door. Each boss battle is a very different animal, literally. Items offer a multiplicity of uses too. Thermal goggles can detect mines and foes using stealth camouflage, whilst cardboard boxes can be used to trick guards, evade the attentions of wolves, and even to transport Snake to another holding area in the back of a van. Some uses are quite subtle, and require a bit of experimentation to uncover; cigarettes seem superfluous to begin with, but the smoke reveals the faint trace of laser trip wires in certain spots. Perhaps more impressive still is the extensive yet relevant array of weapons. 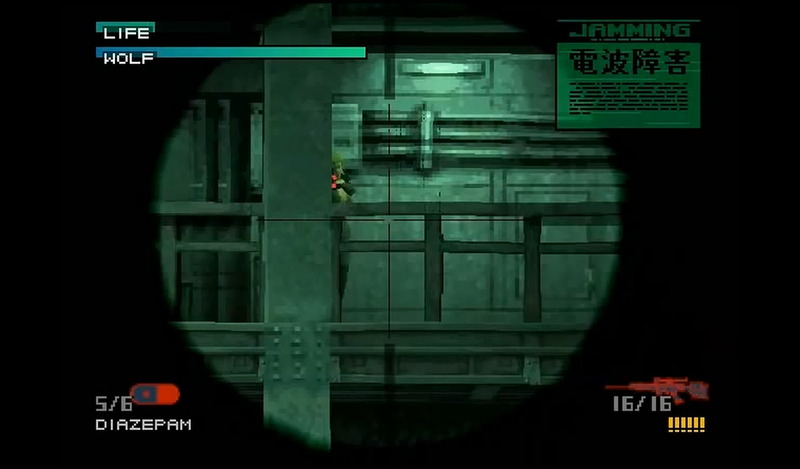 Whilst games have come to adopt a policy of ‘pick your favourite’ in recent times, MGS’s stunning array of boss fights encourages the use every last one in order to get the best results. You’ll require a mix of electronics-jamming chaff grenades, explosive grenades and a FAMAS machine-gun to get the better of a tank, before a nerve-jangling, ranged battle with femme fatale Sniper Wolf using, appropriately enough, a sniper rifle. Only your bare fists will do against Cyborg Ninja, whilst one of the most precarious but fun encounters sees you besting minigun-toting Vulcan Raven through clever placement of remote explosives and mines. The stunning soundtrack is arguably the most impressive part of the package. MGS’s heart-stopping ‘Duel’ boss theme remains one of gaming’s greatest, most recognisable scores, but the hypnotically unsettling ‘Mantis Hymn’ delivers another huge highlight, and unsettling military drum rattles that permeate the game prove the perfect accompaniment to this espionage thriller. Taking a little over ten hours to finish, MGS successfully extends its stay with four difficulty settings (the highest two are super-challenging without the aid of the radar) and two endings. The freedom and depth of design alone warrants a second look, but there’s also some neat Easter Eggs awaiting those willing to play through a second and third time. Metal Gear Solid was a watershed moment for the PlayStation, offering a masterful mix of cinematics and smart game design that, when melded so effectively, made for an extremely addictive, captivating adventure. It’s not just a story though; it showed us that stealth games could be sprightly, pacey and a huge amount of fun, without sacrificing the depth and challenge to keep players engaged, and for that alone, it’s a remarkable video game.